Guided by Nigel Jacob, a co-founder of Boston’s New Urban Mechanics and Urban Technologist in Residence in Living Cities, the cities experimented with new ways of embedding a culture of innovation. At the final meeting of this cohort of the cities, the teams gathered to reflect on the experience and harvest lessons from their time together. 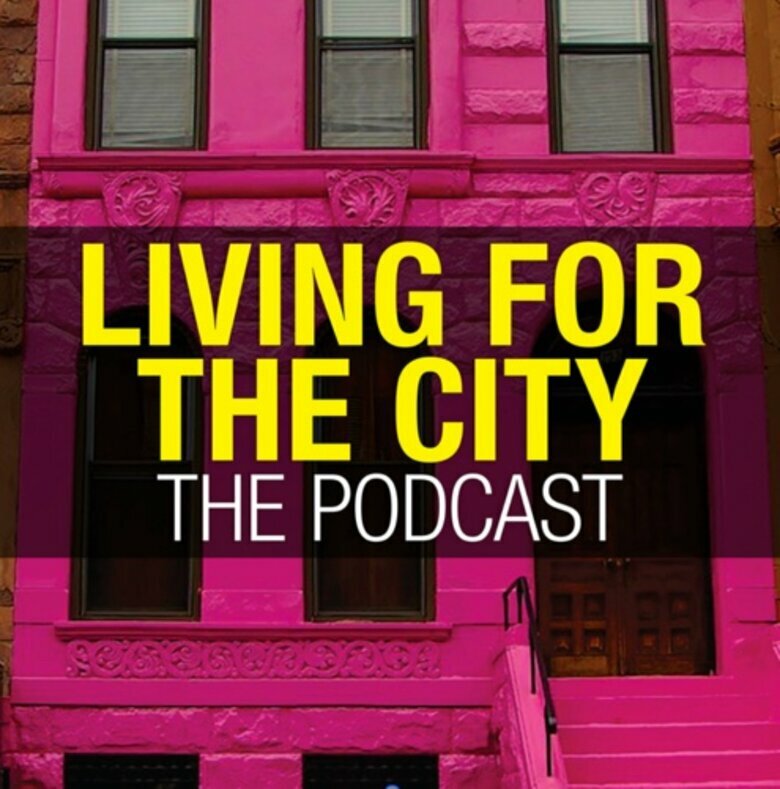 In a three-part pop-up podcast series, Living for the City, Jacob and Governing’s Paul Taylor. In this episode, inspiring, enabling, and teaching teams to become public entrepreneurs. 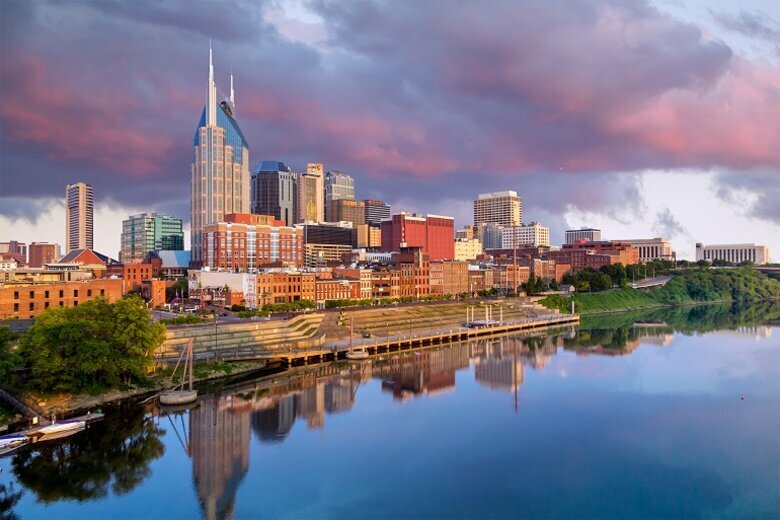 [Audio Clip of Kristine speaking on Louisville’s Original Pitch Video] "During the Accelerator, Nashville will both broaden its focus and deepen its work. By continuing to insist on effective partnerships, constant communication and improved processes, we can ensure that the services provided to our most vulnerable citizens continue to improve beyond the scope of any one mayor's term." Paul: How did you do? Kristine: Wow, it's like “This is Your Life.” I actually think we did pretty well on that. As one example, we created a process for an intensive approach to case work to help get some of our most vulnerable citizens connected to the benefits they have the right to, and that as a community we want them to have. These are folks who have a significant mental illness and addiction issues, face homelessness and are now in jail. That's a lot of vulnerability. Getting them those benefits actually is a much less expensive way to operate, and it's also the compassionate way to respond. That's one example of that process and that team. We've had others along the way. Some of them take a little longer to incubate. For example, we had one in our first go-around, around our food system overall, and the way we can leverage the city's food buying to change the food system within the community at large. That was one that didn't get traction that first year, but just got funded this year as part of an innovative budget process. I think we broadened our work and deepened it at the same time. We built up teams and documented processes around those teams. We also had ongoing communication about how to make those things work. There are spots of energy that I think have reverberation effects. I think we all probably entered into this field with grand plans for transformational work. I know folks who are now working in the new administration who are six months or so in are running up against those walls. You have to just keep on climbing them, or going through them or going around them, but I do think we did some of that work. Paul: That second year success that you had with the budget and getting funding, is there a lesson in there for people who are paying attention? As Ringo Starr, the great budgeteer once said, "Time takes time." Kristine: I'm just stuck on the Ringo Starr quotation. If you're asking about lessons in general, I think the best programs that I've seen around the country focus on professional development or leadership development – or whatever you want to call it. And it’s not professional development in a theoretical setting, but in a setting of real work to be done. You can send your people off to a conference, and they learn something, and it's completely removed from the work that they're actually doing. Maybe they bring a couple of tricks of the trade back, but it’s different to create programs where the lessons are embedded in the work they do every day, or the work they want to do or the aspirations they have, and they're learning tools along the way. Our work with human-centered design is an example. You could go off to a human-entered design workshop where they show you this stuff, but it doesn't necessarily further what you do. The budget process changed in part as a result of their participation in our innovation incubator working on the budget process – not working on something from a textbook, or that somebody did at a planned event. I think the take away is that when folks are looking at whatever minimal budget they have in the public sector to do professional development, or leadership development, they need to consider the value. Are you sending people off to a conference where they get a certificate at the end? Or are you actually embedding it in the work they do every day so they can see those connections and then make things happen? That's where I would support a change. Paul: Theresa, you've been nodding along, and I just want to let you know that the way-back machine remembers you, too. Theresa: I was hoping it had forgotten me. [Audio Clip of Theresa speaking on Louisville’s Original Pitch Video] "At the end of 18 months, we'd like to have an innovation system that perpetuates, like the R&D branch of a world-class company, a push beyond the status quo, in all things touched by city government. We'd like employees and citizens alike to know how to develop and submit their own breakthrough ideas." Paul: How is Louisville R&D 18 months later? Theresa: It is strong and thriving. We've done a lot to create that system of innovation within government. This includes everything from creating budgeted positions around innovation project managers to building the skills and capabilities of frontline employees and leaders across city government to be able to submit, develop, create and implement ideas that break the status quo. Much like Kristine was just saying, we learned very quickly that it was nice to send people to a local university to go through project management training, or Lean training, or Six Sigma training, but it did not have long legs once they got back into government and hit their colleagues and their managers and the realities of the work they had. Within the first year of our work, we embedded that training within the Office of Performance Improvement and Innovation, which is the team that I oversee within city government. We started to do that training alongside a project that the employees would implement within their own department. For example, we worked with the fire department on some of the projects we did through the City Accelerator, and looked at the data they had on where fires were occurring across our community. Then the director of our community services department also saw that data and very quickly said, "Wait a minute, those data points of where fires are occurring look really similar to the data points of where I'm serving some of our most vulnerable populations across our community, and where I have case workers on the street." That was a performance improvement project that started as some data analysis, and lead to a goal to deliver better services more efficiently and effectively. The two directors said, "Wow, we need to share more of our data and we need to cross-train folks who are community service case workers with firefighters who can say, 'This is what you need to do and look for when you're going into the homes of the citizens that you're working with as a community services case worker.'" That application of training that's embedded through the work they do has hopefully had a lot of benefits that will be self-replicating in the future. Paul: Nigel, how does what we just heard from Theresa and Kristine mesh with your conception of public entrepreneurship? Nigel: I should admit that I stole this notion from a good friend of mine, Mitch Weiss, and that is the notion that a public entrepreneur is really just the idea that there are people out there who are actively trying to find different ways to work, to be creative and innovative inside local government. From my position, I see them as working in just as entrepreneurial a way as when I look out at the rest of society, which is why I have to give them that specific type of designation that we in government can be entrepreneurial as well. It's not an easy thing to do, obviously. One of the things that I've found really inspiring about your work, Kristine, has been that it’s essentially a program to train people to work in this very different way across sectors, or across departments. What in the process of starting Ideas to Reality surprised you? What kind of key insights have you drawn? Kristine: I think one of the pleasant surprises is how much enthusiasm that was generated outside of government. Our program was run out of our entrepreneur center, and just even our presence there was exciting, and we interacted with a lot with folks. I mean even just in breaks we had that important third space kind of collisions that we know are important for cities. The people were like, "You're here from metro government? Government is doing an innovation incubator?" Then we could explain what we were doing, and generate excitement around that. While I know that the term public entrepreneurship” is really talking about it as in public sector, I kind of am hearing it as public actually being out in public and talking about these things. The culminating event this year was a pitch competition, which was essentially part of our budget process. It was broadcast live and had a Shark Tank vibe – it generated a lot of discussion and buzz. There is a hunger out there for people to see their government working. It’s important to do it differently than the typical – i.e. you’re mandated by some federal rule that you have to have a public hearing, and you have these really long notices that have all this legalistic language to get people to come to a community meeting, and then somebody reads from a PowerPoint display. That’s just awful. To change the engagement with the public around how we talk about our ideas and what we're trying to do, that aspect and the energy it generated, I think has been surprising to me. Nigel: Marisa, you've also been developing a training program for folks in Philadelphia government. What have been your early observations? Marisa: To us, one of the most important things is to recognize that innovation should and could be happening everywhere. It's not just a technology-driven thing, and it's not just one particular area or group of folks who can be doing that. The city has really been focused on, in its human resources department, putting in a talent acquisition and management group and focusing on diversity, so that we have a lot of people bringing different experiences and perspectives to the work. One question this project started with was, “How do you use behavioral economics? Rather than starting with the goal, let's teach everyone what behavioral economics is. What we said was, "Bring your problems to the table and we're going to sit you down with academics and folks who have done this work already, and let's talk about the tools you can use to address the problems you already have." We really want to make sure the goals we have are concrete and meaningful to the work that people are already doing, and the challenges they're facing instead of trying to teach the latest new craze in government management. We really wanted to focus on giving employees the tools to do what they’ve always wanted to do, and just do it better, more easily, more efficiently and more inclusively. Theresa: I just want to build off Marisa's point, because I think that's a really good comment to make about the idea that innovation can happen anywhere. It really is everyone's job and role to play. If you see something, you should try to remove that frustration, that barrier; because if you're feeling it, the person sitting beside you is also probably feeling it. And the person on the receiving end of whatever you're trying to deliver is definitely feeling it. In Louisville, we have this concept of the job, and it is that every person's job entails three different avenues of thinking about their work. There's daily work; there's continuous improvement; and there's breakthrough or innovation. Anyone can identify a way of continually improving on their work, or in developing some sort of breakthrough. We try to embed that thought process into every single employee from day one. One of the things over the last couple of years that we've created that I think is really paying dividends is a new employee onboarding program, called our NEO program. I am fortunate enough to have come from a military background, and to have spent some time at McKinsey & Company. Those are two organizations that I think do a great job of onboarding individuals into the culture of the company or the organization, so that they can immediately hit the ground running and embrace what it is that that organization is trying to do. In city government, when an employee starts, they're given this notion of the job and they're given an understanding of what innovation looks like. We let them know the status quo is not the way we want to continue if it's not working, and that fresh eyes are the best eyes. We get to do that across the board. It’s not just for folks who are being hired for general positions, but also within our more military organizations, including our jail and our police department. Our jailers say to the incoming corrections class, "Here's what it looks like, and when you go and you're on the floor and taking in potential inmates, how can you look for ways to do that in a way that's more compassionate? How can you look for ways that are more efficient? How can you recognize these individuals as the people that they are, and improve your role in keeping them safe?" It's just been a different dynamic, and a different way of talking about the role in the work that government does. I think that's an important piece to make sure that everybody in city government – the 6,000 employees that we employ – is trying to be those advocates. Nigel:Theresa, you and your team are doing lots of great work, but one of the things that I've really been inspired by is that you're also actively working to create career paths for your team, for your innovators. How has that been working? Has there been any push back from the broader bureaucracy? Theresa: Yes, there has been some push back for sure. I would be lying if I told you it was all roses, rainbows and puppy dogs. This is definitely a new concept for some folks who are more seasoned, who have been in government longer and who feel like they have been doing a fantastic job – and they have with the resources they have had. I think one of our directors shared, really candidly, that when you come in and you say, “We want to innovate in this space,” the people that have been working in that space sometimes feel like, "Well, what's wrong with what I've been doing for the last 20 years?" Right? "I am passionate about this work, and I'm trying to do a great job, and now you're telling me I need to change, and what is that doing or saying about the work that I've been doing?" I think we have to be really thoughtful about that, but we do try to say that there needs to be a space for people who want to innovate, and do this as a dedicated position. Theresa: Like myself, exactly. I wear that proud badge of data nerd. We wanted people to be able to find a home in government, and to see this work as exciting, and as a place that they could grow professionally. One thing I will say is that that many people in the workforce today don't want to stay in a career for 20 or 30 years, or at least not the same position, and so we do have to recognize that's how people want to move within their own careers, and create those pathways where people can move every 18 to 24 months. In our office, we now have an entry point as a performance coach. Then we have a senior performance coach and an innovation project manager and deputy directors of different fields and focus. We also now have performance analyst roles within departments. These are dedicated positions that help that department get the data they need about their work to make better decisions. I would say that about half of our departments have created that role. They went through the budget process and said, “I need this; I value it; I want it in my department.” The other half are still wrestling with the fact that they have competing demands. I think we're moving in the right direction; we still have a lot more work to do. The worst thing would be to get somebody who is really bright and passionate for a year or two, and then they're like, now there's nowhere else for me to go, so I'm going down the street to Humana, or some other place where my career can flourish, and I can compete and move up the ranks. Nigel: When you are looking at the culture of innovation in the way people work, do you find yourselves having to think about ways to incentivize people to work in a different way? If you do use an incentive, what are those incentives? Or do we not need them? Marisa: In Philadelphia, it's less about incentivizing and more about providing the resources they need to be able to do it. We have a lot of folks who have great ideas. What they may need is some different tools or some different training – or even just some leeway. Through the City Accelerator, one of the things we've done is create a seed fund for folks who have ideas they want to try out or they'd like to pilot. Sometimes the hardest part of doing something like that is simply getting $500 for extra postage. You can have this amazing idea, and everybody's onboard, but finding money for stamps can really be the most terrible, horrible part of the whole thing. What we really wanted to make sure that we could do going forward was remove those barriers, those sort of pesky things, because once you've got a small win, you can demonstrate that this makes sense. It's almost easier to ask for $1 million, $2 million, $3 million, than it is to ask for some extra-large envelopes. That's what we've really found is that it's sometimes not the big barriers to innovation, it's some of the really tiny ones that you need to be cognizant of. I'll give an example. I had a team from the fire department apply. They had this idea for a sprinkler prevention system – basically to divert water when a sprinkler was going off and didn't have to be going off. Our process just helped them to get to the place where they prototyped it and they trained their all their trucks on it. It wasn't that they couldn't have done it without us; it's just that there was no process for that to happen. There was nobody saying, "Hey do you have an interesting idea and want some support for pursuing it?" Nobody was saying that, and then once we said that it just took a little bit of our time and the ability to draw some attention to it. Of course, we were in the mayor's office, so they got support from higher up, and we got it done in about six months, and they were so grateful. It wasn't that we'd done all that much. I think we spent maybe $500 on prototyping? But they didn't have a place to ask for $500, and so I think again, we can start there with those folks who are out there and give them support. Then it becomes, over time, more and more apparent who's doing that work, which departments are doing that work, which departments are supportive of that work, and which ones aren't. We don’t have to impose at all. It's really much more organic than that, and it's probably the only way, unless we get just a huge influx of cash to actually make it happen. Theresa: I would echo everything that Marisa and Kristine just said. But I would also say that the recognition piece cannot be underestimated, this idea of celebrating the things that are working, and even celebrating the failures. Thank you for trying that. You had this idea; you tested it; you recognize that it wasn't the right idea, and you either pivoted, or just cut bait and tried something else. Celebrating that incentivizes others and creates a culture of people continually doing this type of work. In Louisville, we do a day of celebration annually, and we've been fortunate enough over the last couple of years to partner with Governing, and now with Living Cities, to promote that within our community and to allow our employees to come to this day of celebration where we recognize folks who've been nominated by their peers for having an impact. For doing things that are in the vein of daily work, continuous improvement and breakthrough, we create these videos that then are put out to the public. As a lifelong public servant, who maybe has been working forever in a department, to now have that recognition in front of your peers, in front of the mayor, in front of citizens – I mean it will bring tears to your eyes to see just how proud they are to get acknowledged for doing that work that they're so passionate about already. I don't think you need big cash infusions to incentivize this work. I don't think you need any of that – I think you really just need to recognize, celebrate it and make sure that you're removing these pesky little barriers that are maddening to people who clearly see a solution that will make things better. Nigel:	In talking to the work that you've all done, it’s cut across a huge range of departments and organizations in your respective cities. Are there common skills or abilities that you see the people who are successful at this kind of work have in common? Kristine: I think curiosity, right? We keep saying it, but it's a theme that the way we're doing things today does not necessarily mean the way we need to do them tomorrow. If you can embrace that mindset, then I think you're well positioned to be successful in this type of work. Someone who wants to come in and do the same thing they did yesterday, even when they know that there's some frustration or some things that aren't working, is not the person who's going to be successful, I think, in this space. There are many more people, as Marisa said, who've just been waiting for somebody to open that pathway for them. They've been sitting there saying, "I have this great idea, and no one's hearing or listening to me,” or, “I have no avenue or venue by which I can do this." There are many, many people in government who have that mindset and that skillset, and they just need a way to be set free. Marisa: In Philadelphia, we are also open to asking for help and expertise from the outside. Being open to that is really important to this work. You need to have the understanding that even if you have ideas, those aren't the only ideas, and make sure that you're gathering perspectives and experiences from a wide array of stakeholders – particularly the folks these programs are for. You need to make sure that you're really listening. That's been really important, listening and learning in order to move forward. Paul: Our audience has been listening and learning, and there's a question. Who are you and what's your question? Eric: Yes, I'm Eric, and recently I worked for state government, but there was a change of administration, so now I work for the city. My question is: How have Philadelphia and Nashville, having gone through an administration change, made the transition work? Marisa: I've been really pleasantly surprised at how well its gone in Philadelphia. One reason is that we were prepared. It's not like it was a surprise – we knew our mayor was term limited. In the months leading up to the change in administration, folks on the team started to leave, and that sort of let us know we were going to have to do things differently. We had started this project with a very concrete idea that we were going to increase enrollment in specific assistance programs. By golly we did – we went from 200 applications a month to 200 a week, and that was phenomenal. But really we wanted to make sure that it got broader, that there were more people involved and that it didn't just end there. We did a couple of different things. As soon as there were new folks in the new administration, we sought them out and we started telling our story. It was really important to find folks who were interested in what we had been doing, and particularly folks who were going to bring new skills to the table. For example, when we started this process, we didn't really think a lot about human-centered design, but then it became something we were really interested in. We found a new team member who had that expertise, and we brought folks in. Then we also realized that we needed to broaden this to the types of folks who don't turn over when there's an administration change. That involved working with our frontline employees, and providing trainings to our customer service staff in trauma-informed government. The folks who are always going to be there are civil servants. We wanted to make sure that we were pushing this out to them, so that they had those skills and it wasn't as dependent upon the original folks who were in the group. It's been really successful and I think that the project actually became richer by having that turnover in it. It brought fresh ideas, fresh perspectives, and that's exactly what you want for this sort of work. Paul: Marisa and Nigel, can we talk about the new urban mechanics for just a second? Just in terms of two cities, two transitions, two trajectories. What is there to be learned about models, and how long they last and whether they go through transitions? Nigel: Good question. In some ways, the mayor's office of new urban mechanics in Philadelphia and Boston back in the day, going back maybe to 2013, they looked very similar. I think there were some structural differences though, in terms of how we actually worked. There was essentially no separation, or barrier between the Boston team and the mayor. Essentially, we had unfettered access, which meant that we were controlling that conversation. Frankly, sometimes we had to manage the mayor a little bit, because he often couldn't quite grasp what we were talking about. I could never say innovation to our mayor. This was Mayor Menino, not mayor Walsh. I think the dynamic was different between the Philadelphia team and Mayor Nutter at the time. As we've been saying, I think small differences can often be huge differences. We didn't have an intermediary between us and the mayor, which was important. My sense is, correct me if I'm wrong here, but the Philadelphia team did. They were more mediated in their ability to talk directly to their mayor, so I think that made a big difference. I'll say that – and this might just be an artifact of our age, or my age maybe, I don't know – the mayor’s office of new urban mechanics had been around for five years when we went through a mayoral transition. When Mayor Walsh was going through an assessment in terms of what programs should be kept, and what should be tossed, he did a series of public meetings around that. In part because of our age, we had a public constituency that was familiar with our work, and so they actually came to those meetings. They basically raised their hand to say, "Please keep and expand new urban mechanics." Mayor Walsh took that to heart. I'm not sure if it was the same dynamic in Philadelphia, but I'll say that for us, that made all the difference. Paul: Marisa, can you speak to the Philly dynamic? Marisa: I can speak a little bit, and particularly with respect to this project. In the last administration, we had an office of new urban mechanics, and Story Bellows and the folks from that office were very involved in this project, and they were sort of housed out of the mayor's office. As we made the transition, titles changed and office names changed, but we still have really great participation from the mayor's office, which I think is what's really driving this. What's also really important is the idea that no one little office or medium-size office can own innovation. It can't just be a small group, that – as you were saying – brings innovation to the masses. It’s really about making sure that everyone has that opportunity. That has increasingly been the way this administration is working – focusing on talent acquisition, bringing folks in and understanding that innovation doesn't have one home. Innovation belongs everywhere. Kristine: I never advocated really strongly to keep the Office of Innovation. I cared a lot about innovation continuing, and still do in Nashville, but I didn't push hard and it didn't continue as an office. There's still questions around how we make sure that these programs continue, and how we make sure they're embedded somewhere. I kind of joke about it, but I think the new chief financial officer for our city, our finance director, is our chief innovation officer. If she's not, then we're not going to do what we need to do. She's played that role; she would never claim it – but I think she's playing that role. Caring about how the work continues, rather than how individual people or offices continue, is something to think about during a mayoral transition. Theresa: I have so many takes on that. Where to go? I think one way we've been very fortunate – and this is a benefit of the City Accelerator and the first cohort – was that we were able to watch these mayoral transitions happen and be very intentional on what we put into our own system, and our own processes and our own dialogue so that we can be set up for success going forward. Again, maybe if it's not the Office of Performance Improvement and Innovation, at least it's the concept of the work that will hopefully persist. Same thing with looking at what happened in Boston, and you spoke to it, but it's one of the things that I think is really critical, and that's the idea of making it public. Having a constituency outside of city government is important. 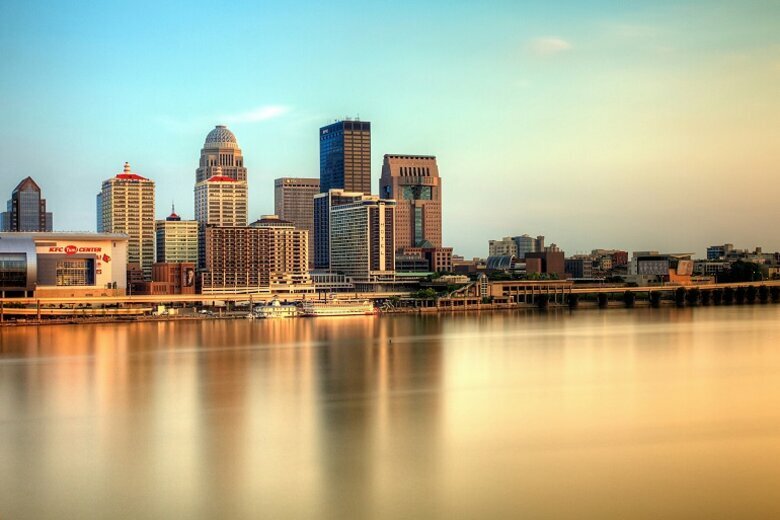 We do a lot of great work with companies within Louisville – whether it's with Waste Management, or Humana, or Toyota or Texas Roadhouse. They have all been partners who have really helped us along our journey of performance and innovation and helped the citizens who are touched by those services. Making that very clear connection is important, because we don't do well at celebrating the work that the office does. We do really well at celebrating the work of departments and employees, but OPI (the Office of Performance Improvement and Innovation, or OPI squared now, does not take credit for that in a public space. 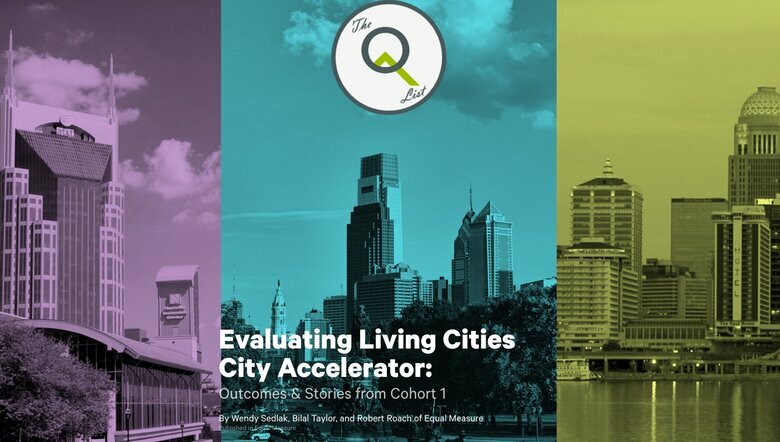 It's something that we've started to do more of, and the City Accelerator has helped us tell more of our story, and tell about the work that's driving the changes. Hopefully citizens see that in a positive way so that they understand what might be at stake if a new administration comes in and they decide, "Oh, I don't even know what that is, so cut that away." We also have 26 metro council members who make the ultimately make the budget decisions, and we want to make sure that they also understand the value of the work, so they can support it in the future administrations. Nigel: My last question for you is kind of touchy-feely maybe. What, if anything, do you see as the role of inspiration for driving change in local government? It's often been my own observation that things happen when people are inspired by one means or another. Has that been reflected in your work? Marisa: I would say, absolutely. 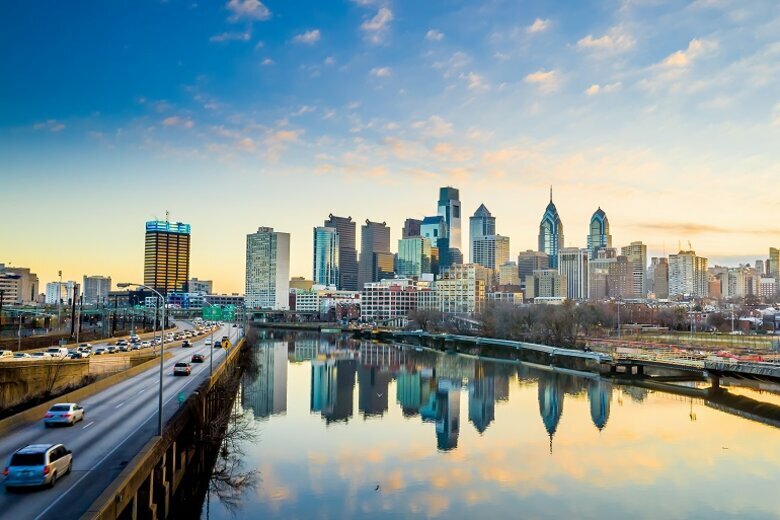 The needs of Philadelphia and its citizens are tremendous; there is sort of an unending amount of things to do. To not get paralyzed by that, you really have to remember what you're working towards, and what you're doing. Projects like this that give you that goal you're aiming for – an organizing principal – really helps keep the momentum going. When you have outside observers who are checking in on you, it creates that undercurrent of, if you hit a roadblock, you can't actually let the project fall to the wayside. Normally you've got 10 other projects that could grab your attention, so you could just move onto those. There's a little bit here of, nope, we’ve got to push forward, keep going and continue with this. Theresa: On that message, within our community, we have been super fortunate to have a mayor who nationally is, I think, now being recognized for his role in talking about compassion, and what it means to be a compassionate city. He defines compassion as helping every individual reach their full human potential. That is the ultimate inspiring message, and every single person in city government is now coming together around that idea that they work that we're doing is to facilitate individuals being able to reach their full human potential, and to not have those barriers to limit them. That message is super inspiring, and we're honored to be able to carry that through in the work that we do. Kristine: I don't really want to end after that. That was so beautiful, but I also think it’s about giving people the opportunity to be inspired by others. I still don't think we tell the stories very well because we're all so busy with doing the work. But to be able to show, here's how somebody changed the way this difficult thing has been handled, and here is the success they have is important. Going back to the thing that I talked about earlier where we fast-tracked folks to their benefits – we went from an average of about 4 months for those who even got to a place where they were getting help, to our first case being done in 19 days. We made sure to tell that story pretty broadly, but probably not still broadly enough. How do we communicate that, so you can look at it and say, "Wow, that was a seemingly intractable problem; and they actually are making it different.” We have to be better at that than we have been. Paul: You're in the unique position, all three of you, of being able to look at the City Accelerator in the rearview mirror. I'm wondering, what you know now that you wish you would have known 18 months ago? Theresa: For me, it would be that point that Kristine just ended on, which is how do we tell those stories effectively in a way that breaks through the noise that all of our communities have that is perpetuated by the media. There are negative headlines that are going to be sensational and that are going to just persist. How do you break through with the human interest story, or with the social good story of something that's really working well? I know Elizabeth spoke about it as well, and we need help doing that. Some of us have communications departments within our city government, some have a communications department that only supports the mayor, some have public information officers within departments. If you have a new urban mechanics, or an office of performance improvement and innovation, you probably have not resourced for a communications person. You need that support, and you need the support of Governing and you need support of others. But it can't just be self-talk within the vacuum of public policy nerds and wonks, it's got to get out to the citizens. I think we should have been more intentional about that from the outset of the City Accelerator. I think we had those elements, but we were kind of part of the initial prototype, basically, for what this would become, and we were building the plane as we were flying within it. I think if we could go back, that would be something that I would have tried to spend more time on, even if it was just a communications fellow from the university to help us tell that story in a way that really hit home, with the hearts of our citizens. Marisa: In Philadelphia, too, the communications and the documentation would be something I’d want to change. It’s almost hard going back 18 months and trying to remember exactly everything we've done and everything we've accomplished. Also, now looking back, I’d like to just tell ourselves 18 months ago that uncertainty is okay. This was the first cohort; we didn't really know what was going to happen, what financial resources there would be and what was expected of us. I think early on that was sort of difficult for us, but in the end, that wound up being a bonus. We started with a very concrete measurable outcome that we were trying to achieve, to increase enrollment in these programs, but because there actually was some uncertainty and some room and it actually grew into a lot more. Earlier on knowing that that would be okay, not knowing exactly where this would lead, I think would have tamped down some of our anxiety, but made it a lot easier for us to really learn more than we expected. Paul: Kristine, final word belongs to you. Kristine: I was being very pragmatic in thinking about some of the things. I think, like you were saying, the Accelerator was like building a plane while you're on it. We were all figuring it out, and we were co-creating with Nigel and with Living Cities. You were saying, “Looking in the rearview mirror …” but I don't really feel like we're looking in the rearview mirror. I'm trying to look ahead and figure out how to keep these things going. I wish I had done a little more and that we had done a little more. For example, what if we had brought in a couple of program officers from our local foundations from the beginning to participate, and get excited and buy into this? Or we could have brought in a university partner or a few more people along the way to really think about what happens once this cohort ends. It wasn't a huge amount of money, but it was important money for our work. It helped us to pay for our partnerships, but we should have been thinking more about how are we going to manage that moving forward. Particularly, because we had a mayoral transition. I wish we would have done more of that thinking, and that's where we are now. It would have been great if we'd done it 18 months ago, but it's good because we still have lots of momentum. So, I don't think of it as rearview mirror, I think of it as a more helpful map.